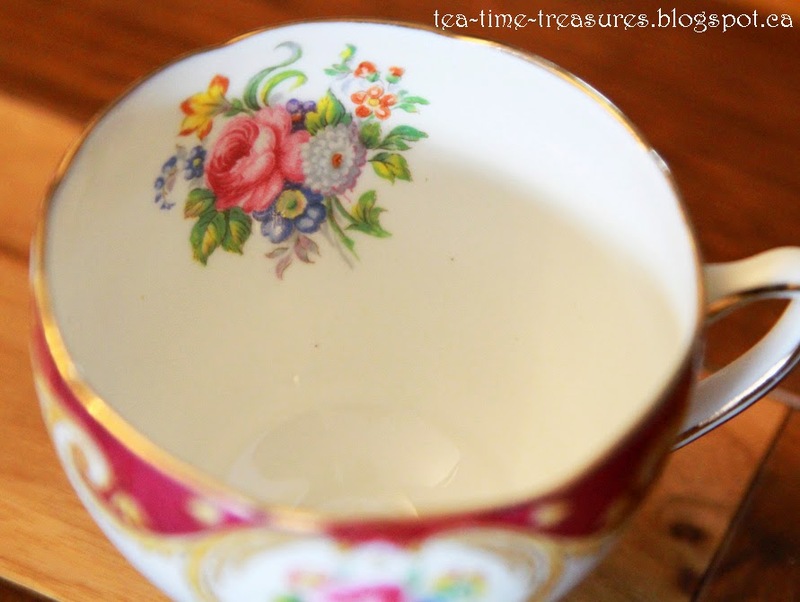 Here is the second red and gold tea cup from the box. This one has more detail on the outside than on the inside. I see that this pattern was also produced in green. 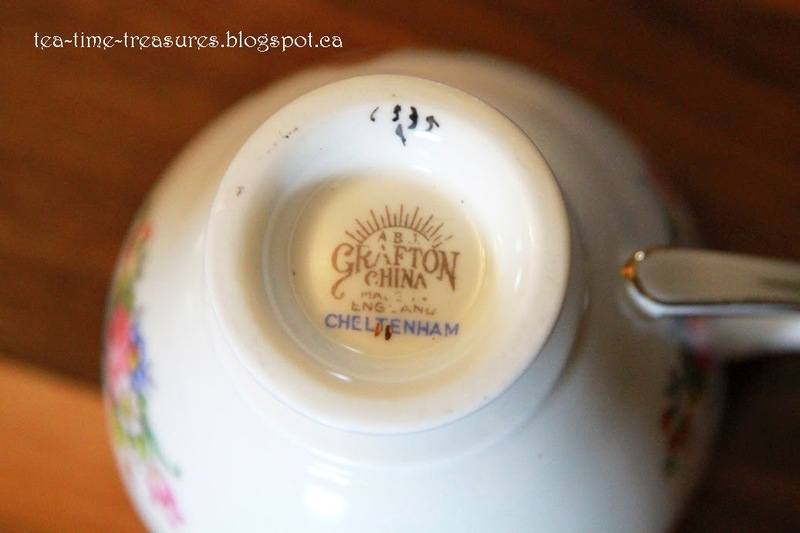 This is my first piece of china from the Grafton company. This back stamp was used 1935 +. 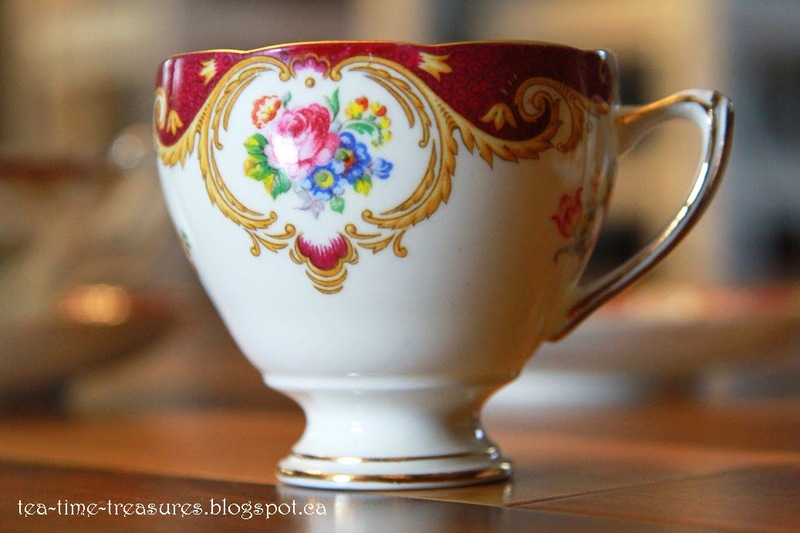 Here I've matched my little orphan tea cup with one of the orphan saucers. They look nice together I think. 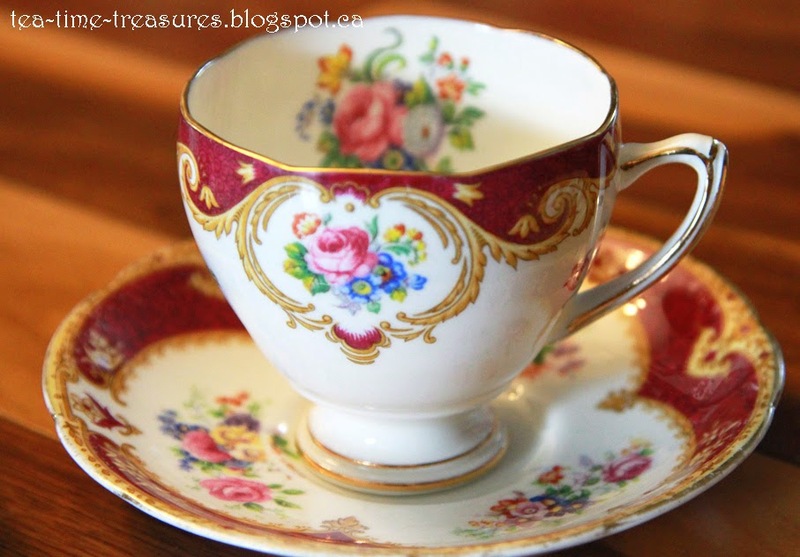 Royal Albert - Royal Choice Series - "Windsor"